While Jake showed some improvement later in the week, I’ve STILL been dealing with Jake’s bad behavior choices at school and at home. More emails from his teacher, more stupid discipline suggestions from his father and the hits just keep on coming. Jake has always liked to use big words, ever since he learned to talk. His new word that he uses in almost every conversation is ‘apparently.’ Before that, he used the word ‘actually’ every time he tried to make a point. BUT ‘blissfully unaware’ ?? I have no idea where he got that one. I tried to get him to give me the definition the next day but he couldn’t figure out what it meant or that he had even said it. 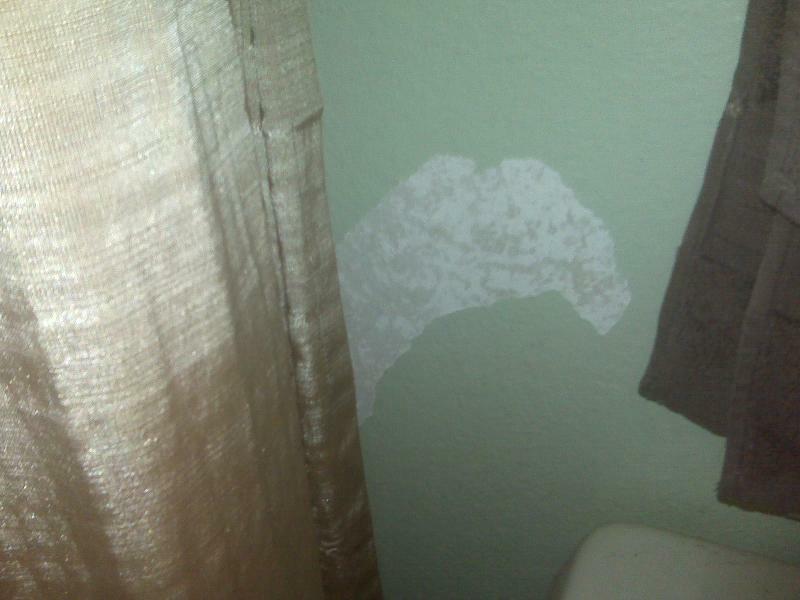 Fast forward to a couple days later … Jake’s taking a shower and apparently he forgot to close the shower curtain. When I checked on him about 15 minutes later, I found the wall covered with water and a huge puddle on the floor next to a large strip of the paint that had come off the wall. Well I guess that answers that question ….